Download GSD Android Tool aka GSM Developers tools, here we Share Version of GSD Android Tool You can Download it From the below, The tool is Portable Means No Need to Install Just Extract & user. 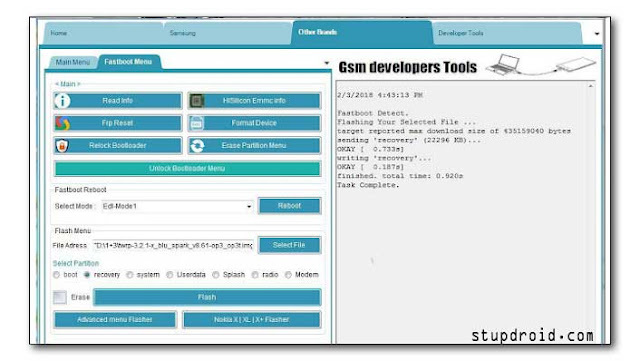 GSD Android Tool is a utility for Android Devices can be used to bypass FRP Pattern and Password on Many android Device. The tool also Come with inbuid Flasher. You can use it to Flash many Android Devices. Make Sure all Driver are Properly Installed. Now Run GSD Android Tool.exe File from the extracted Folder. Select Desire Option and then Follow on Screen Instructions.